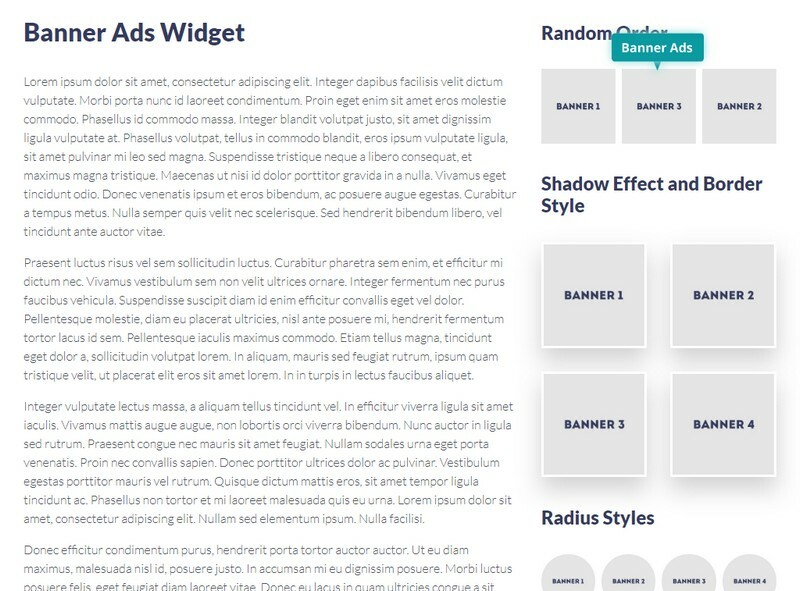 The banner ads widget is just perfect for showing image banners of any size. The widget supports up to 10 items per widget, random display of the banners, many options which will make the banners unique with borders, shadows and much more. The widget supports up to 10 items which you can add to a single widget. To add a new item, please click on the Add item button to create a new banner. A few item options will appear, like upload image for the banner, setting image size, link URL and title, link target and a relationship of the link. Once you set all the fields, just click the Save button to finish the process.